Ok, over the years I’ve turned in to a ‘yes’ person in a feeble attempt to involve myself in any opportunity and not let life pass me by… You may have guessed the Yes Man novel by Danny Wallace may have made me question my somewhat stubborn decision process. So when my weekly Abel & Cole delivery arrived I couldn’t resist the temptation to cook up their Easter recipe challenge in the hope of winning a Omlet Eglu chicken house. Plus I’ve always dreamt of my kids one day setting up a stall out the front of the house and selling home reared eggs to the passers by. Anyway, the challenge was to cook an omelette inspired by ingredients used from the weekly Abel & Cole box. So I made a potato and broccoli omelette accompanied with a red onion, feta and beetroot sauce. Lets just say it wasn’t just healthy, it was delicious! Wish me luck! Meanwhile I’ll move on to the next challenge. 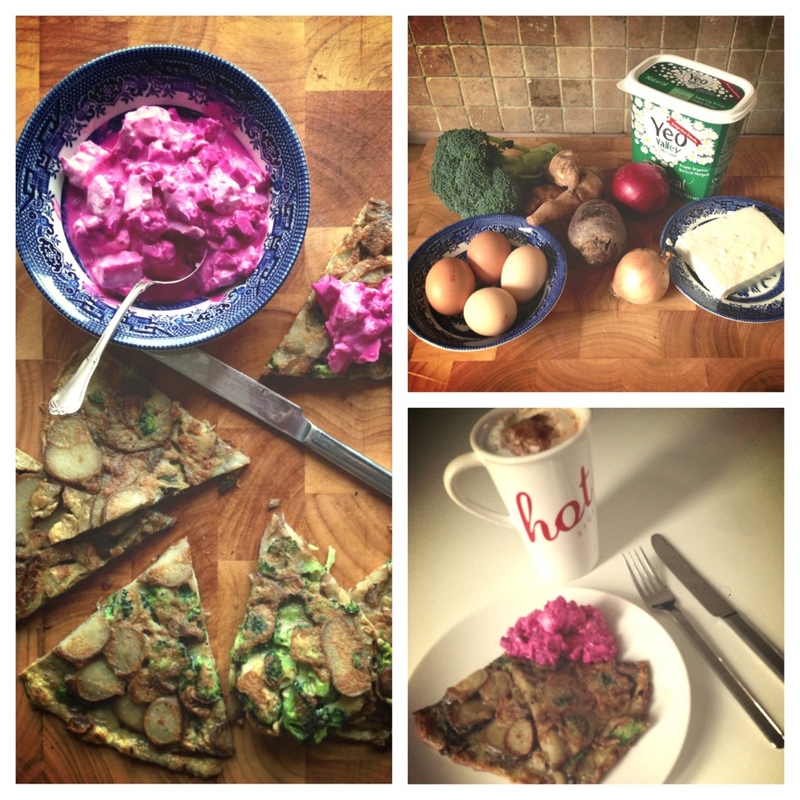 This entry was posted in Kitchen Creative and tagged Abel & Cole, beetroot, Cooking, Eglu, omelette, recipe by whysamiam. Bookmark the permalink.